Why drink pomegranate juice as one of the natural cures for diabetes? There are nearly 39 million people in the United States and Europe combined who suffer from some form of diabetes. People with diabetes have a higher risk of developing heart disease, so diet and exercise is especially vital for overall good health in diabetic patients. In one year, diabetes patients spend roughly 90 to 100 billion dollars on medications alone to control sugar levels. That number is absolutely staggering. What if you knew that drinking pomegranate juice was beneficial for diabetes and could help you save money on medications over time? Diabetes sufferers don’t react the same way to sugar as the rest of the population. As a result, they must monitor their intake of sugars contained in food and drink every day. Many diabetics have to check their blood sugar levels several times a day. Drinking pomegranate juice to control sugar for diabetes may have excellent benefits. Take a look at this study that was conducted in Israel by Dr. Michael Aviram, a medical expert of the Technion Faculty of Medicine. Dr. Aviram and his colleagues asked a group of diabetes patients to drink pomegranate juice for a time period of three months. Here is what the study revealed at the end of the three months. The juice seems to inhibit the absorption of LDL (bad) cholesterol into the body. The antioxidants contained in the juice help to fight heart disease (to which diabetics are more prone). The juice reduces the chance of developing atherosclerosis, a medical condition that can lead to heart disease and a higher risk of stroke. 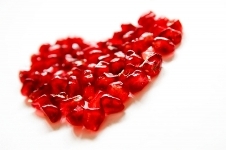 The sugars in pomegranate juice didn’t cause a negative reaction to blood glucose levels. Unlike other juices, the sugars in pomegranate juice are attached to powerful antioxidants and seem to function as a protector against atherosclerosis. Most fruit juices contain sugars in a free form, which are harmful to those who suffer from diabetes. Sugars can hide in many foods and drinks, so diabetics have to be very careful about their daily diet. Wouldn’t it be nice to know that pomegranate juice was safe for diabetics to drink each and every day? Diabetics are more prone to developing heart conditions and stroke. Studies done on the effects of pomegranate juice for diabetes, heart disease, high blood pressure, cholesterol, and more have proven to be only positive. If drinking this amazing juice helps prevent so many expensive and physically challenging (and sometimes fatal) medical conditions, why wouldn’t everyone want to give it a chance? Pomegranate juice and diabetes could very well be a natural cure. We’re not suggesting you stop taking your medications, but talk to your doctor about adding pomegranate juice to your daily diet and see what he says in response. It would be interesting to see if you notice a big difference in your daily sugar levels as well, wouldn’t it? Start today by drinking pomegranate juice as one of the natural cures for diabetes; it will give you a healthy heart, and make you feel great! 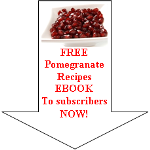 Read enough about natural cures for diabetes and want to discover other health benefits of pomegranate juice?